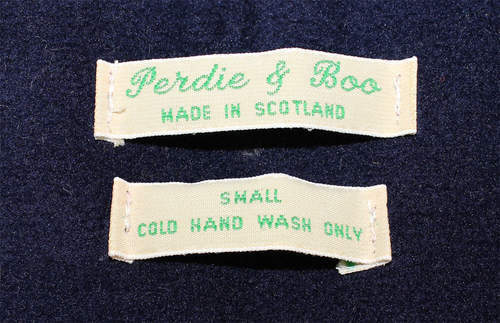 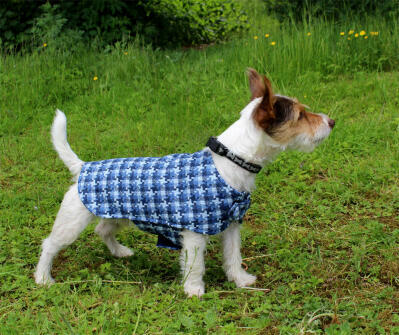 Your little dog will look just dapper in this delightful jacket from Perdie & Boo. 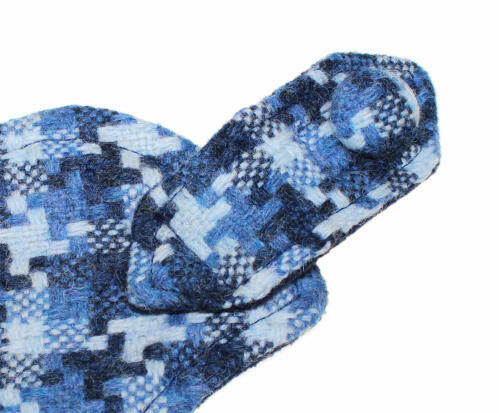 Handmade in Scotland, this jacket features the finest tweed in tones of blue, navy fleece lining for comfort and warmth, and a bonny button on the neck fastening. 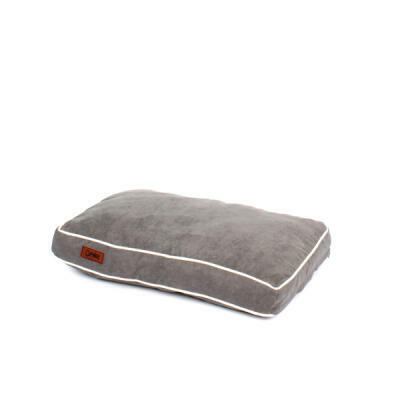 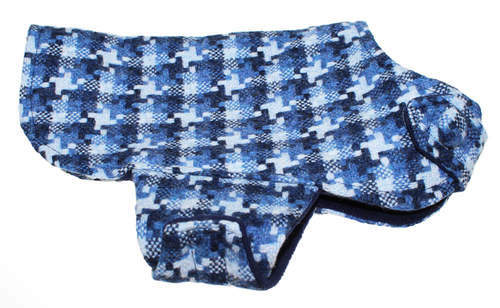 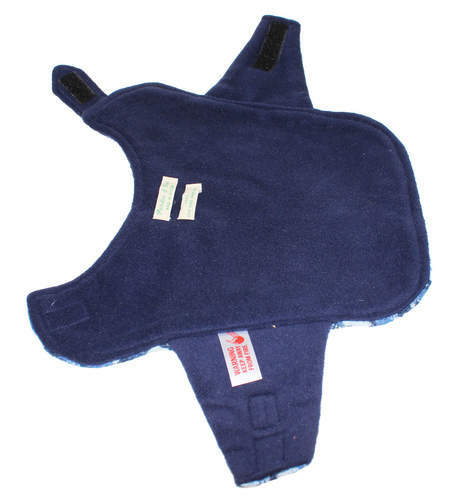 The fastenings are all velcro, ensuring a snug and comfortable fit for your pet. 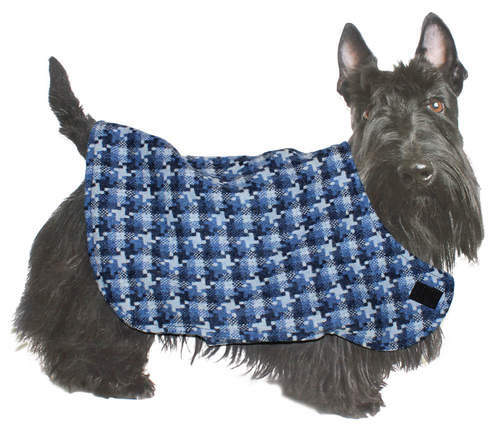 This is the perfect jacket for dogs that like to look smart. 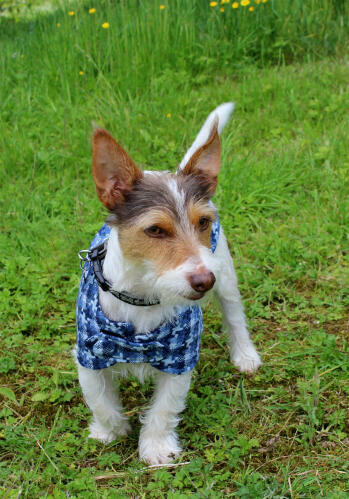 Take it out the wardrobe for weddings, pub visits and walks in the park, and your pet will look and feel fabulous. 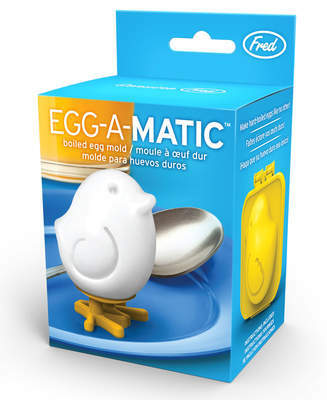 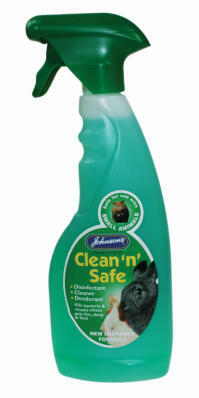 It can even be washed after use, should it get mucky after all that partying. 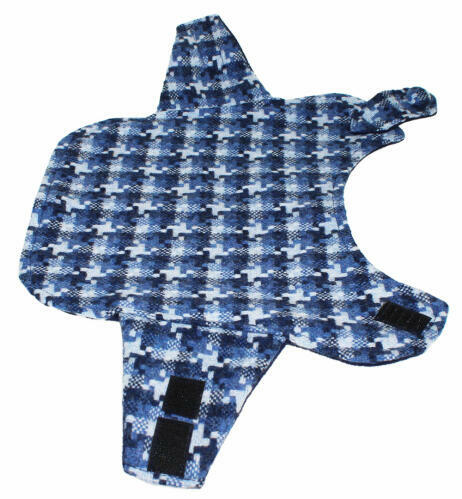 This small size is 9" in length, ideal for small dogs such as yorkshire terriers.